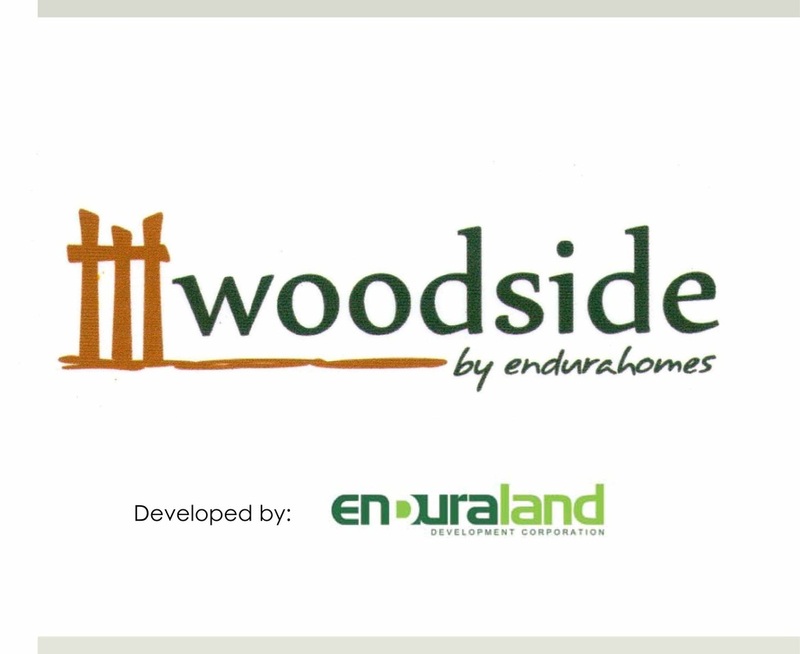 Woodside is the pioneer development of the Endura Land Development Corporation. It is a 12.4 hectare first-home development located in Tanza, Cavite. It is a secured community where your family can create precious memories to treasure through the years. You can freely enjoy the open spaces, take a stroll in the parks, have a dip in the pool and use the various amenities. Make the right choice for your family. Here at Woodside, you and your family are our priority! 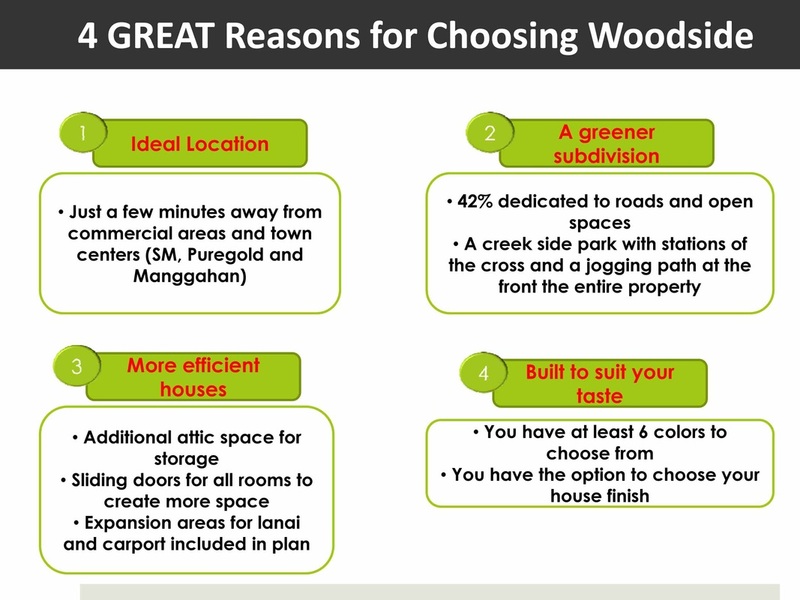 Offers affordable house units considering its area, type (semi-finished or finished) and location. Woodside is located between SM Trece and Puregold Tanza. 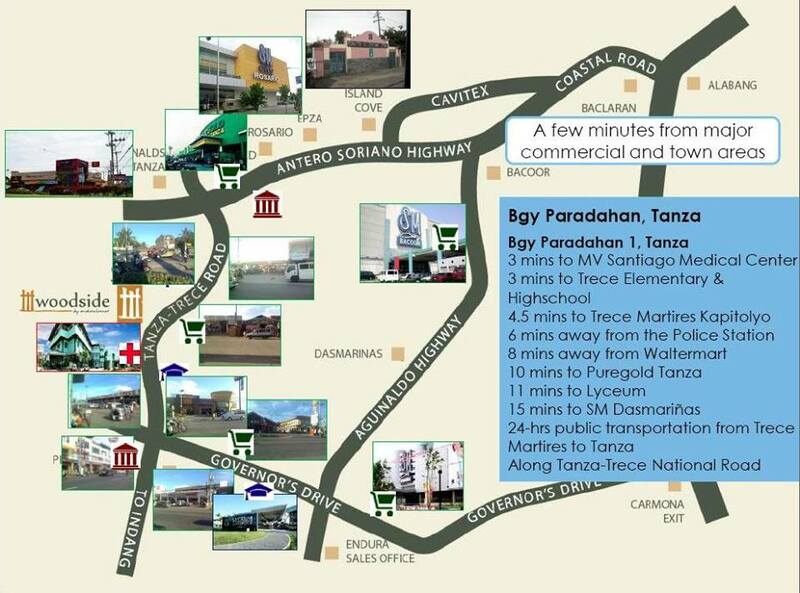 It is situated in the heart of both major towns in Cavite and is highly accessible via public transportation. Approximately 3 mins to SM Trece (soon to open)! 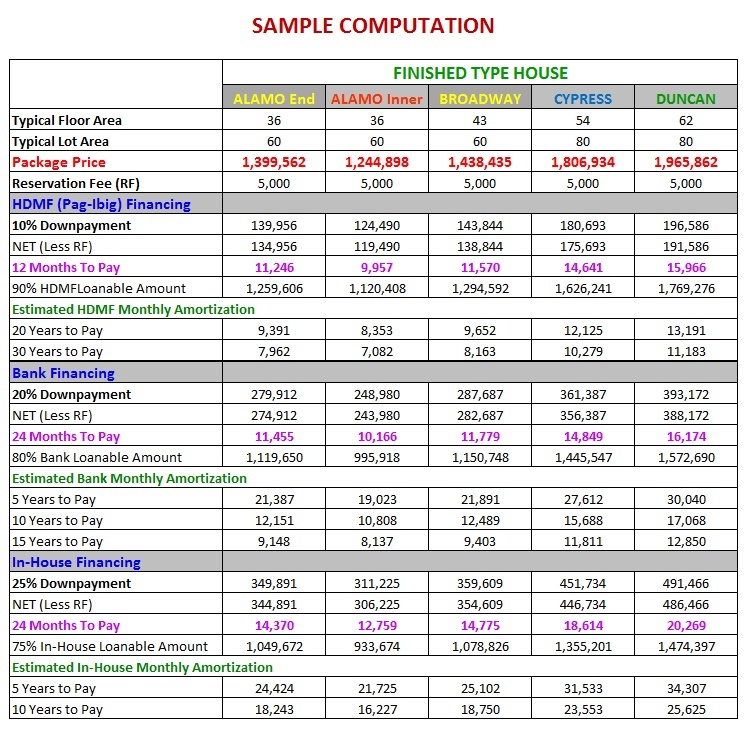 NOTE: Above sample computations are inclusive of move-in fee and title transfer. Prices are subject to change without prior notice. 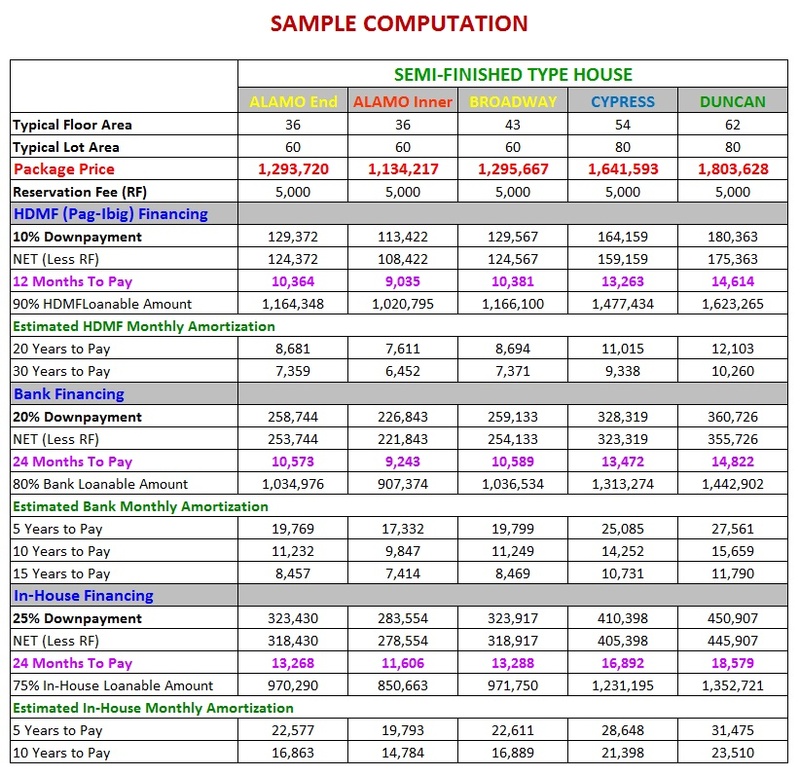 Actual computation of house unit chosen during viewing/tripping will be provided.